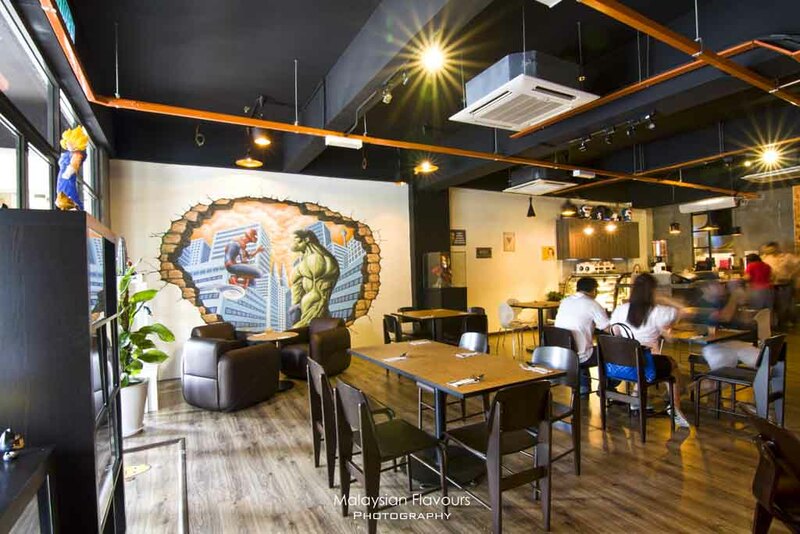 Last weekend was the first time we ventured into 3 Two Square in Petaling Jaya, wondering whether the cafe which we are looking for will leave us with surprise or disappointed. 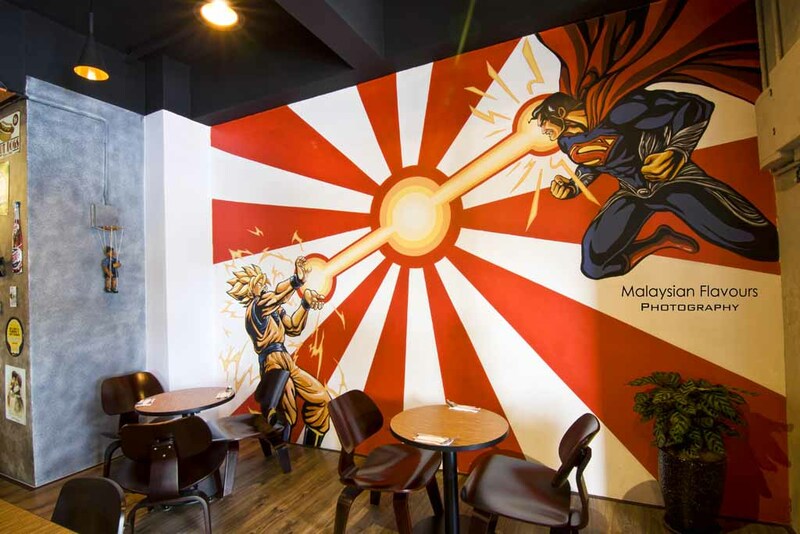 Upon entering, we were greeted with a huge 3D wall painting of Spiderman came face to face with the Hulk; and the other side with the favourite character from Dragon Ball having a fight with Superman. Awkward pairing, but we liked it. Also, just at the entrance, an array of cute and unique collections grabbed our attention, too hard not to like it. 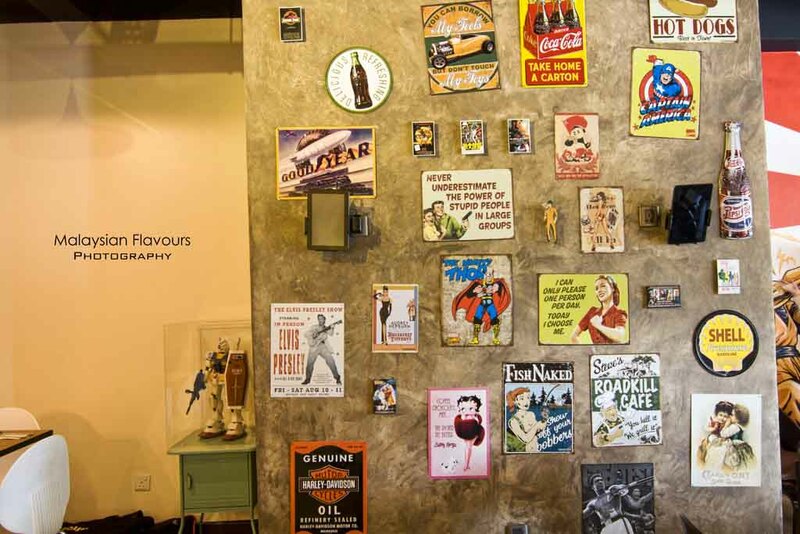 More to look for as you walk through every corner of the cafe- sports car model, mini iron man, mini Gangnam style, etc. Remember to look up and check out the collection of Doraemon at bar counter. 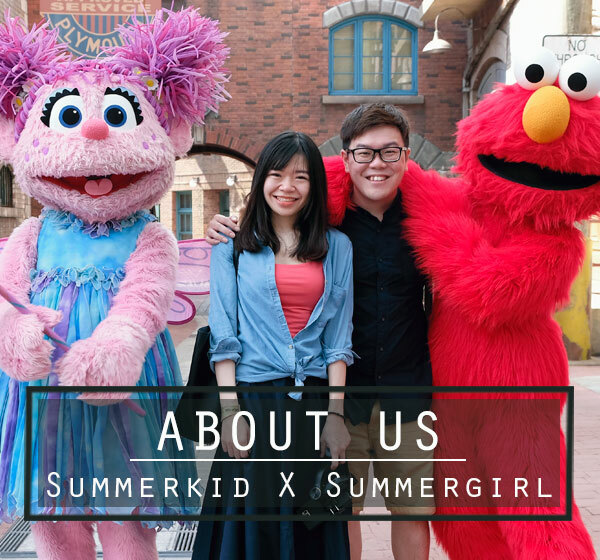 So what’s the name of this special cafe with 3D paintings and precious collections that will bring toy collectors to go gaga over? 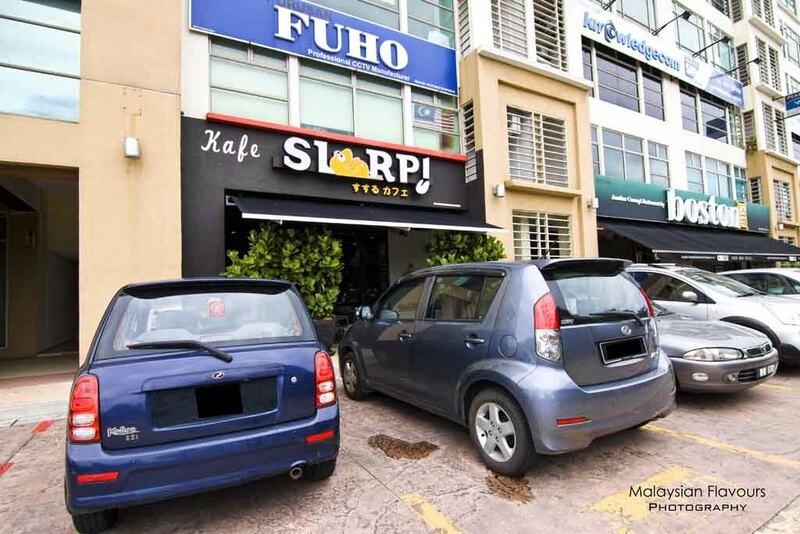 Slurp Cafe, just next to the Starbucks Coffee. We spent some time before we could take our eyes off from the collections, and tried out few of their specilities. Omuraisu and Maggie Murtabak Burger are highly recommended, not only for the taste, but also the creativity that brought a cross between local, East and West. Be it charcoal burger, orange burger or rice burger, we believe that many of you have tried before. How about maggie burger? 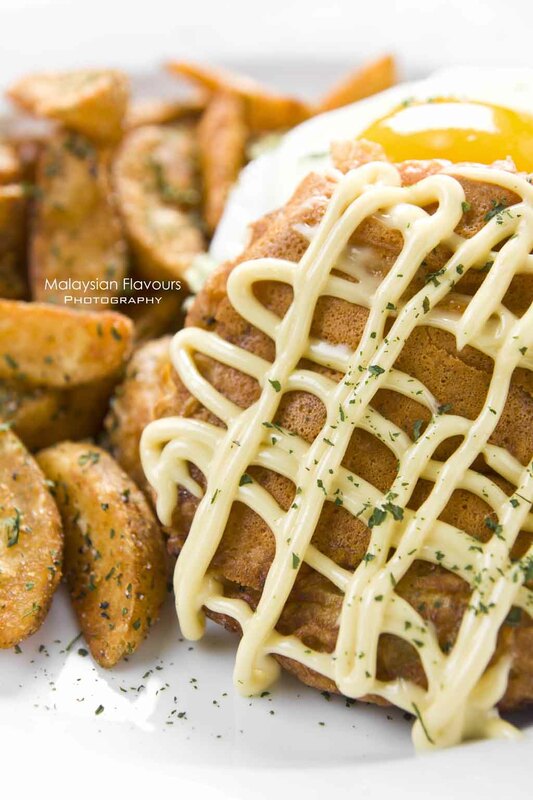 Inspired from our local favourite murtabak, This Maggi Murtabak Burger interestingly brings together instant noodles, instant noodles flavoured powder, vegetables, cheese and chicken into a compressed round patty, coat with eggy batter and pan fried till golden brown. Sunny sde up, tomato, lettuce and ham slice are sandwiched within these two pieces of ‘instant noodles’ bun, making a huge portion with sided potato wedges. Texture wise, it is rather unique, giving misconception of eating ‘maggie pancake’ with cheesy and springy texture, flavours added, wih mayonnaise, Japanese ssesame sauce and Worcestershire swirled on top. Another noteworthy dish that arrived in hearty portion- fried rice, egg and chicken katsu, enough to feed two. Fried rice is rather mild, but thanks to the bed of tom yum gravy that delivers an extra tangy, spicy flavours, flavour-packed that it instantly liven up the pale fried rice. Topping over is an omelette beautifully presented with a smooth top, vibrant yellowish and no burnt sign. Fluffy soft texure outside, moist and creamy inside. 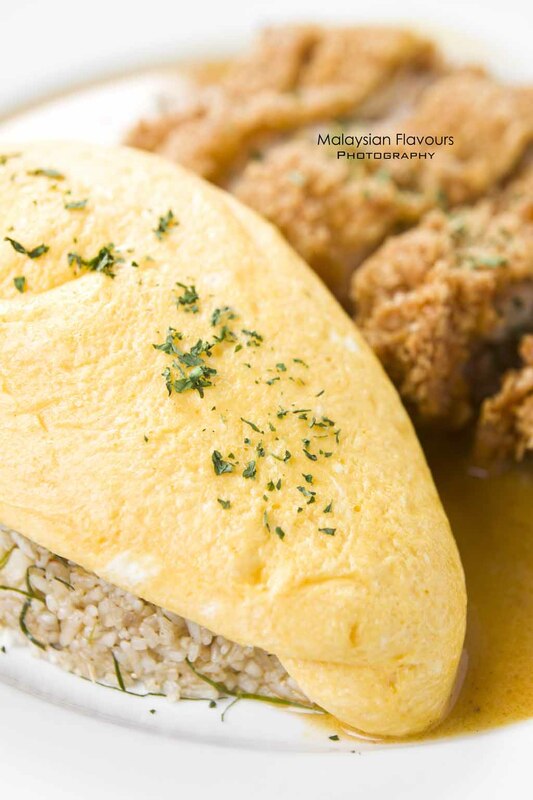 Diners can opt for pan fried dory fish, fried chicken chop or seafood to pair with their omurice. 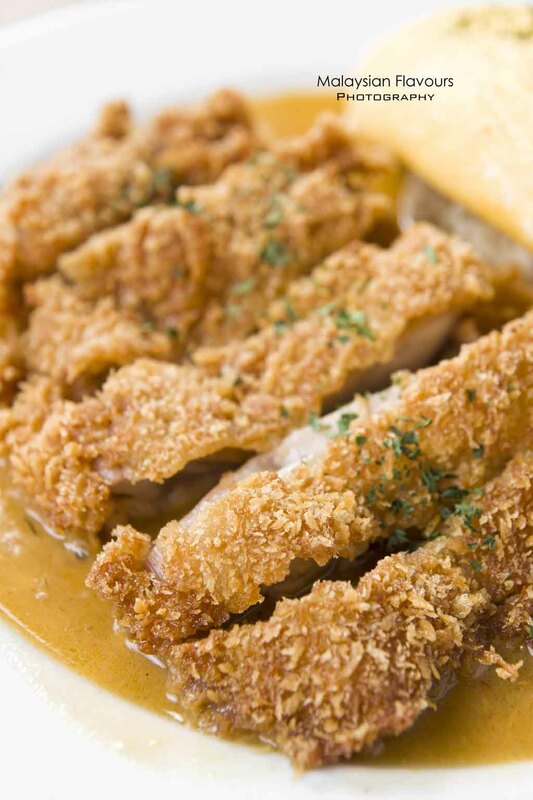 Our fried chicken chop is fairs well, huge and thick, deep fried to crunchy with juicy, succulent meat. For pasta, portion is rather standard, just good for single serving. Prepared in aglio olio style, the pasta is al dente, generously loaded with chilli flakes but no worry on the spiciness level as it is quite moderate to the palate. 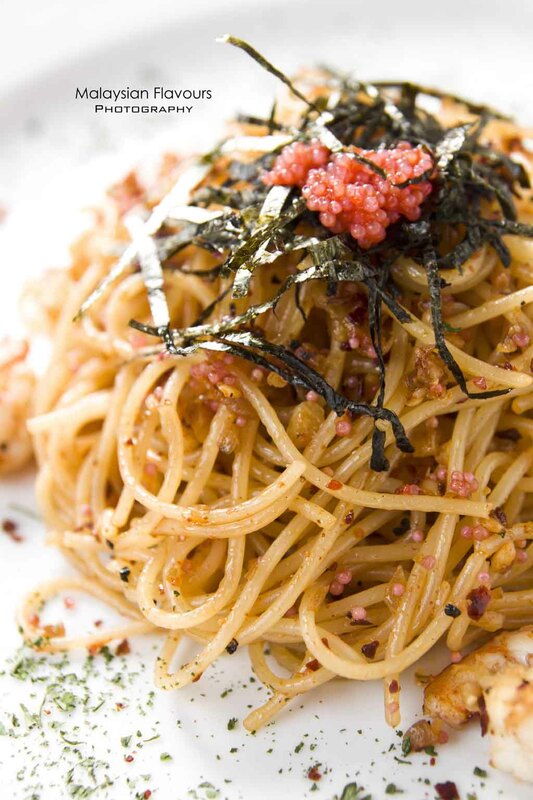 Tossed along with the pasta is prawn and mentaiko to add bouncy and popping fun. Spotted few more pasta on the list which we felt worth trying out: sambal pasta, seaweed pasta, sesame oil chicken cold pasta. d; finnally topped over with cheese. 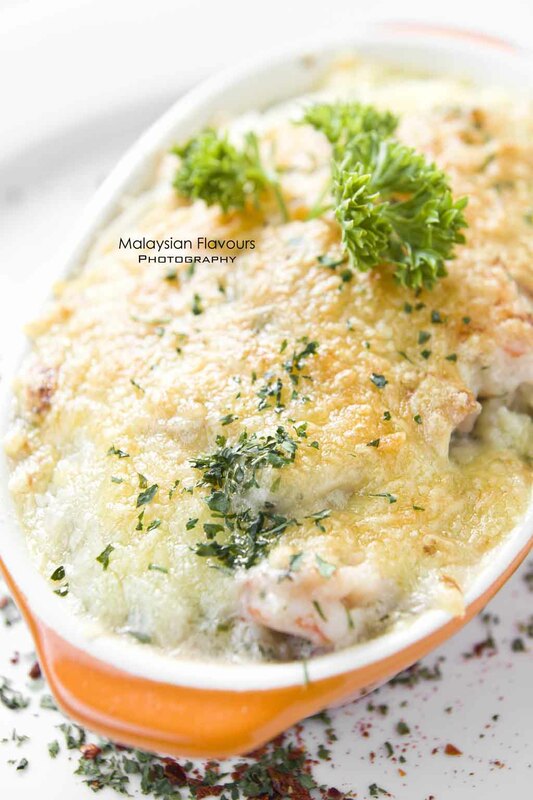 Bring a spoonful of our cheese baked rice with seafood into mouth, we experienced mouthful of creaminess and cheesiness, so sinful. 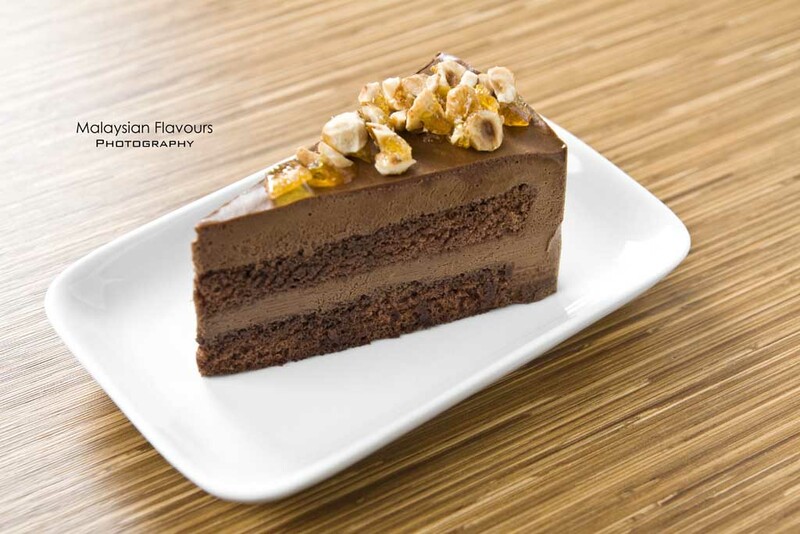 We end the meal with chocolate cake. Dense, chocolaty but not too sweet with a subtle touch of alcohol. Love the caramalized crushed hazelnuts sprinkled on top, develops a crunchy sweetness that goes perfect with bittersweet chocolate mousse. Wish to have more of them, random sprinkle just isn’t enough.